Build your toddlers wardrobe with this toddler sportswear pattern. Includes, t shirt, dropped crotch Trousers, jumper and overalls. Add fun appliques for an even more unique look. 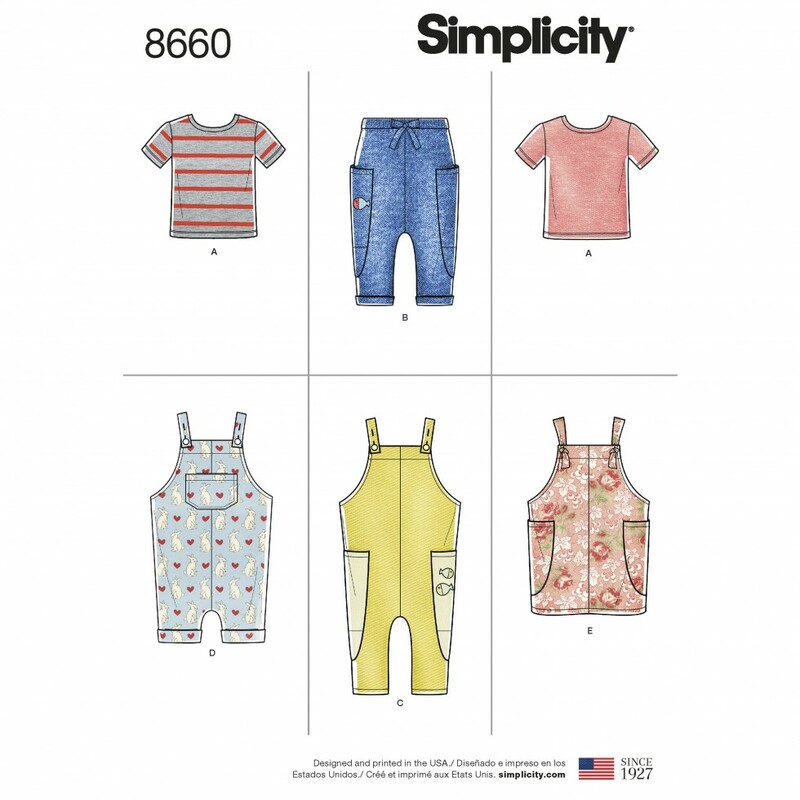 Simplicity sewing pattern.